The “holiday season” is underway, Chanukah is behind us and Christmas around the corner. Nothing screams Chanukah like a giant menorah made entirely of donated cans of food. Chabad on Campus ran the event on December 4th, when Miami U. Jewish students gave back to their community through this holiday-themed donation. The menorah was lit, and afterwards all of the cans were donated to the Oxford Community Choice Pantry, which benefits people in the Talawanda School District. The Milana Family Foundation and Man Cave Health hosted a charity event to support prostate cancer awareness. The event, Champions for Charity, included a cocktail party, shopping at Gucci, and hors-d’oeuvres. The Milana Family Foundation’s mission is to raise money and awareness for charities that benefit children in need. Their initiative “Man Cave Health” is a project they launched that’s purpose is to promote awareness about, and most importantly to combat, prostate cancer, and men’s health issues. Attendees shopped the Gucci Fall/Winter 2018 and Cruise 2019 collections to make their holiday gifting purchases. 25% of proceeds went to charity. NYC-based TV and film production company Broadway Stages sponsored several holiday-based charity events. 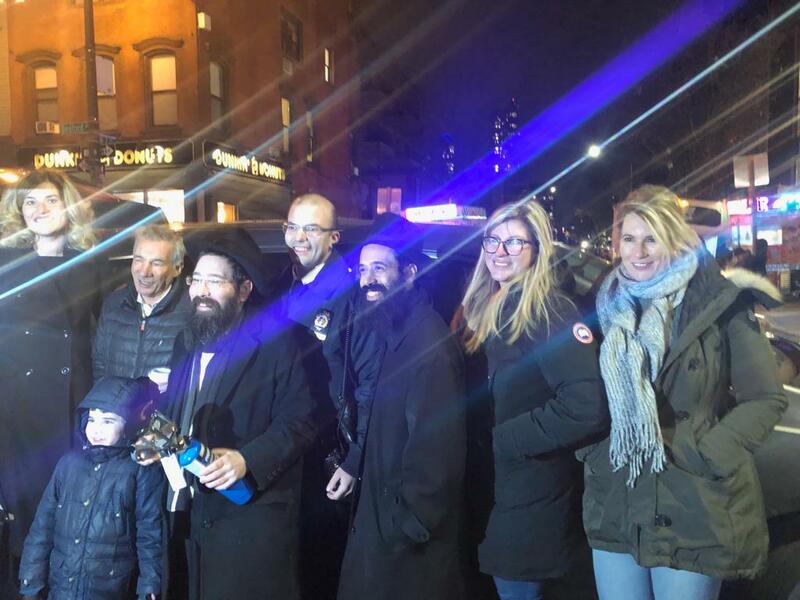 On the 5th night of Chanukah, Broadway Stages sponsored a Menorah Lighting ceremony and Chanukah party hosted by the Chabad of North Brooklyn and Chabad of Greenpoint. The nearly 10-foot-tall menorah was lit by a representative from Broadway Stages. After the menorah , music , and donuts and dreidels were handed out. Assemblyman Joe Lentol was in attendance. Despite the cold, there was plenty of Chanukah spirit and excitement. For Christmas, Broadway Stages sponsored the 94th Precinct Community Council’s Annual Children’s Christmas Party for the eighth consecutive year. The party included face painting, balloon animals, a photo booth and arts and crafts. Kid-inspired food snacks and beverages were provided. 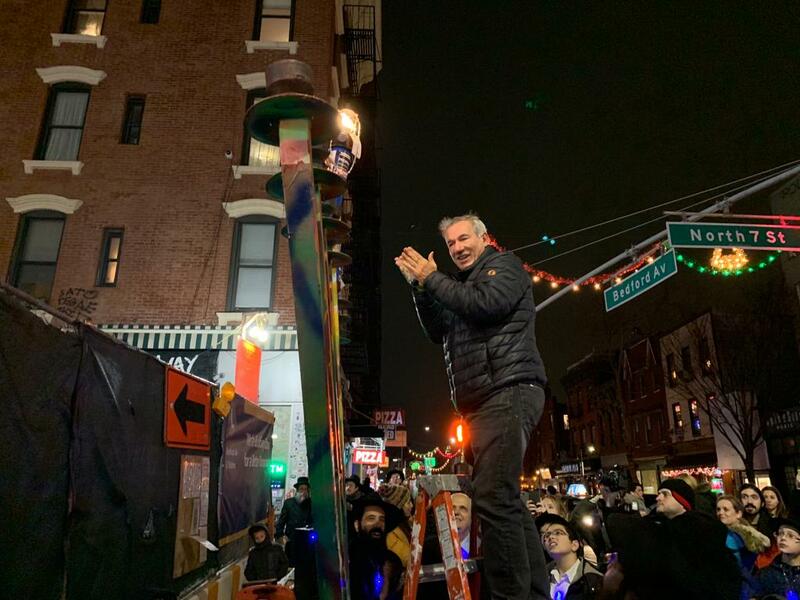 Broadway Stages also sponsored the tree lighting ceremony of the Council Member Rafael Espinal of District 37 to bring some holiday spirit ahead of Christmas to local residents. Deckers in Goleta, California will kick off “Twelve Days of Gifting” (parodying Twelve Days of Christmas) on December 12. They will set up a pop-up shop in Santa Barbara in partnership with Santa Barbara’s Night Market. Customers browsing the shop will look through UGG products and other surprises unique to the pop up. A portion of profits will be given to local Goleta charities, including The Organic Soup Kitchen, The Wilderness Youth Project, AHA!, CALM, and more. Giving back hors-d’oeuvres is a great way of showing your support to your community. There’s no wrong way to give back this holiday season, and beyond. Whether it’s through sponsoring an event, implementing one, or organizing donations, now is the perfect time to give back to your community. Studies even show that companies that pitch in together in community service have happier employees–According to a 2016 Deloitte study on volunteering, millennials in workplaces that gave back were “twice as likely to rate their corporate culture as very positive.” ‘Tis the season to give back to your community.